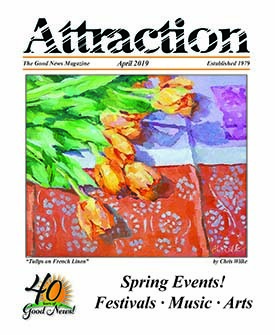 While writing this article about the recent success of a local making it big in the music business, the song “Alaska” started playing on the Easton radio station. 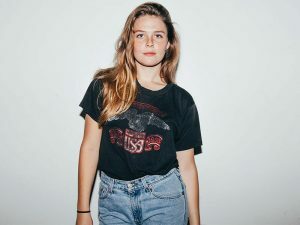 It was written, produced and performed by 22-year-old Country School graduate Maggie Rogers. “Making it big” is no longer the correct description of Maggie’s career. Maggie’s music career has exploded. Earlier this spring, Maggie toured in Europe to sold out venues. Currently she is conquering her North American headline tour, but good luck scoring any tickets, as they sold out more than two months in advance of its launch. She plays close to home in Washington, D.C. on April 8 at U Street Music Hall. In mid-February, Maggie released her debut EP “Now That The Light Is Fading” on Capitol Records. It features four original songs written, produced and performed by the multi-instrumentalist, including the tracks “Alaska,” “Dog Years” and “On + Off” that have more than 136 million plays combined across all platforms. Within a few days of her EP release, Maggie made her television debut on “The Tonight Show Starring Jimmy Fallon,” performing her single “Alaska.” Maggie actually received a nod from artist/writer/producer, Pharrell Williams, during a master class at NYU Clive Davis Institute. After listening to her song, Pharrell was all but speechless, but managed, “Wow!” He went on to exclaim how Maggie’s song impressed him and moved him immensely. “You’re doing your own thing. You are singular,” he told her. Maggie admits in a later interview on YouTube that she didn’t know what to do while Pharrell listened to her song in front of the entire class and ended up watching his foot tap. Pharrell went on to recommend to the staff at “The Tonight Show Starring Jimmy Fallon” to book Maggie. Everyone can be sure to experience Maggie’s journey as her musical career continues to blossom.